I agree with you 100%, Like I said, there isn’t anything he cant sing.I’m not sure I know of any other performer who can sing ANY type of music and do it GOOD.. Rocky has it all…Talent, Personality,Humor,Charm.and the love he has for his fans, is very special. As the manager for Rocky, I can honestly say, Hes one of the most talented performers in SL..Hes been so under-rated..There isnt anything he cant sing..His list of songs goes on and on..Pop, Country, Oldies,Jazz, Blues, Elvis, not many in SL can sing many genres of Music…This is what makes Rocky UNIQUE & TALENTED..
Yep Rocky, You will be missed over there in Glinda. 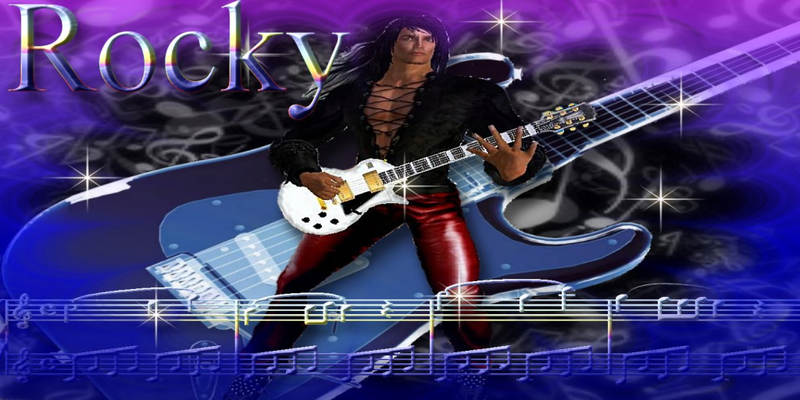 Rocky is a great person and a talented singer who performs for the audience, he can sing anything he wants to sing and make it sound great and fun. I feel saying he doesn’t draw enough traffic is very general. Bringing in an audience isn’t only up to the performer…as a manager I know it takes more than the singer standing on the stage. There is a lot of prep and promotion involved including from the venue and it’s unfair to say “He” doesn’t bring in traffic.